Thanksgiving morning, 1 AM, walking in the snow. Jessica has recently reminded me how lovely the Crum can be, and so after leaving Bhadrika’s place fully intending to go home and to sleep, I drop off a couple of books at the lab and head out to the woods. The new water tower, snow-encrusted, looms overhead, making me dizzy. I wander over to roughly where the old one was. Not a sign of it under the whiteness. The sky is amazing—pale grey, featureless. There’s light all around. I’m strongly reminded of the White Nights in Leningrad four years ago; it’s not dark at all. Late afternoon light at one in the morning. I careful-step down a steep slope, holding trees all the way. Based on vague recollections of what Jessica said, and memories of dragging a prospective student down the hill to Crum Meadow in the middle of December a couple years ago, I decide to try to find the meadow. I think, Crumhenge. Haven’t been there since last year’s Orientation Week bonfire. I don’t see the path until I’m on it. There are large gaps between the trees. This doesn’t feel like a woods, but it also doesn’t feel like a civilized place. Just a long downhill slope with occasional bare trees and, barely buried under the glittering new snow, thick piles of autumn leaves that still crunch with every other step. Distances and directions in the Crum always leave me confused, and the snow makes them stranger. I walk along the path for a bit and glance upward. The water tower. I’m heading, roughly, toward the amphitheatre, and beyond it, the meadow. I walk carefully, but briskly. It’s nowhere near as cold as it was this morning. Bhadrika said something about snow absorbing the cold. The snow is still falling, swirling in tiny drops like mist. It’s reflective; the surface I’m walking on glitters as if sprinkled with mica chips. Snow begins to build up on my glasses. As I pass below the first encroachment of the new access road above, I pull my fingers into a fist inside my glove to keep them warm. I keep the other hand open to grab something in case I fall; but then those fingers get cold and I draw them into a bundle as well. I keep walking. A building looms upslope; then, a little later, another. I must have passed Cornell, I think; I guess this is Lang. But Lang approaches eventually, and a tall construction crane silhouetted against the grey sky; and a pair of footprint-sets, still fairly fresh in the falling snow, leads down from the embankment wall and off away downslope from me. I consider following them to see who they belong to, but decide against it; the tracks aren’t that fresh, and they lead through a difficult section of slope, and a pair of people in new snow might want to be alone anyway. Keep walking. There was an extra building in there somewhere, wasn’t there? Distances and directions. Snow drops in my hair, on my new jacket. I’m walking, half-skating through ankle-deep snow, but my feet haven’t gotten soggy yet. The woods are lovely, dark and deep, I think, and then I go back and go through the whole poem: Whose woods these are I think I know.… I’m uncertain of a couple of words here and there. The only other sound’s the sweep / of [easy?] wind and downy flake. Snow whispers in the tree branches. A phrase I thought of the other day during the aftershocks of the windstorm: bare simplicity. But I had looked at the treetops then, fractal splinterings of branches to twigs, and said, no, not simplicity. Bare complexity, maybe. Most recently, talking to my father the day after his fiftieth birthday. He told me, “Your brother wrote me a letter. He said, ‘As always on your birthday, I’m thinking of Marcy.’ And I realized that for the first time, I didn’t think of her yesterday. It’s not that I want to forget her, but maybe I’m finally beginning to let her go.” I didn’t say much. I’ve never said much about her to Peter. Or to anyone, really. But I remembered that for days before the 11th, I’d thought of her and reminded myself to do something in her memory on the 11th. But the day came and went, and I couldn’t reach Peter, and I forgot. And in a way, yes, that’s good—letting go can be a good thing. But I know I haven’t really let go, not completely, and that’s good too. On her birthday, August 17, very early in the morning, I sat out on the stone Swarthmore College sign by the College Avenue entrance and thought of her. And I came home and put on Uncle Bonsai’s song “Silent Night,” and Michael and Marguerite were very understanding, and I cried, and they gave me a back rub, and we talked. They’d both lost close grandparents recently, and it helped (at least for me) to talk about it. I tried to find some framed pictures that I got from my grandmother’s house, including one of Marcy as a teenager; that photo was sitting on my desk one day freshling year, and Rick’s mother saw it and later asked Rick if that was my girlfriend, because she looked awfully familiar. People always said I looked like Marcy. Letting go. Distances and directions. My brother, Joaquin, has one really nice photograph of Marcy: framed, 8" x 10" or so, with her sitting in a chair in our living room, smiling, and sunlight suffusing her hair. That’s how I want to remember her. I think Joaquin and I stayed home from school an extra day. When we went back, a girl who was pretty much a friend of mine, in my orchestra class, smiled at me and told me, “I’m really sorry about your mother, Jed.” I don’t think I spoke to her for months, and I didn’t understand for years that the smile had been expressing sorrow and sympathy and not making fun of me. And so we were left with some papers of Marcy’s and, later, some letters that she’d sent her mother over the years (including a couple describing me just after I was born). And, even later, some photos of her growing up and photos of her and Peter and my brother and me. And memories. I have a cassette tape of her reading a kids’ book out loud to me. It occurred to me recently that I don’t really know even what her taste in books was. She and Peter read The Lord of the Rings to Joaquin and me, all the way through, when I was no more than 8 or 9. I still haven’t read all of it to myself, but I remember most of it. She used to sing to us, every now and then, and though Peter said she couldn’t carry a tune, I couldn’t tell. She’d sing Dona, dona, dona, do-o-na…, or Greensleeves was my delight… (still one of my favorite songs), or sometimes Three times around went our gallant, gallant ship… or Whack-fol-de-daddy-o, there’s whiskey in the rye! She was born in Philadelphia, to parents named Jack and Ethel. Ethel was never the most stable of people; she’d lost too many family members, starting with her father when she was ten. Jack (Joaquin was later named after him) died in early 1968, of lung cancer or something similar; he’d been a heavy smoker all his life. 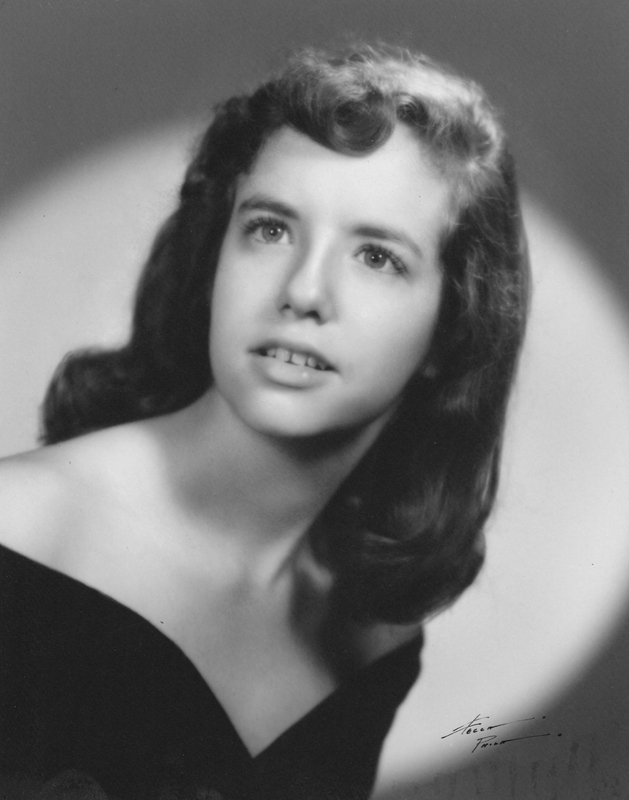 Marcy graduated from Antioch in 1966, with a degree in elementary school education, and headed west. (She had previously taught at a Hopi reservation for a while.) In California, she met and married Peter. She went back to school for a little while when Joaquin and I were old enough, doing Anthropology at Sonoma State University—I remember going with her to a site one day and helping sift dust and dirt, looking for bits of pottery left by American Indians who had once lived there. In 1978, we moved to Palo Alto. Marcy had had leukemia for three years by then; I think she had already lasted longer than the doctors expected her to. I was going into the fifth grade. Two years and a couple months later, Marcy died. She was cremated. Peter, Joaquin, and I, with a couple of family friends, scattered her ashes (as she’d requested) in a state park not far from Palo Alto. I don’t think it was strictly legal, but nobody stopped us. She was kind and loving, a good mother and a good person. And now I want to know more about her, to read her letters, journals if she kept any, to find out what she was really like. 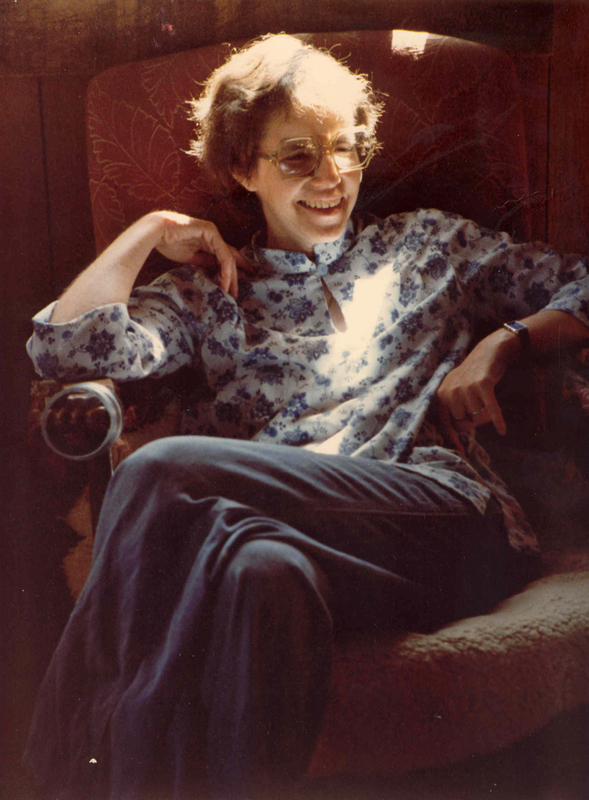 I’ve always felt silly telling people I didn’t really know her, because I lived with her for twelve years; but I was only just beginning to think of her as a person rather than as my mother. I’ve always been annoyed at the phrase (as used in stories) “your mother would have been proud of you,” but I occasionally find myself thinking, that would have pleased Marcy, and that makes me a little happier. And here I am in my last year of college. I wish I could have shared some of the last nine years with her. But Peter has done his best to raise Joaquin and me, and on the whole he’s done a good job. I have him, and I have other family, and I have wonderful friends and a pretty good life and a woods filling up with snow, and isn’t that a lot to be thankful for? I think it is. But sometimes…sometimes I’m sad anyway. I eventually find the amphitheatre, silent and snow-filled, and make a wide loop of footprints around the stage area. I continue on, past the trestle, not sure at all that I’m going the right way to the meadow any more. Distance and direction get confused. It’s getting cold, and probably late. If I don’t find the meadow, maybe this’ll take me out of the woods somewhere closer to home; I can leave my books at the lab overnight. And then, of course, just as I decide that it’s all right if I don’t find the meadow tonight, there it is. I watch the sky for a little while, wander to the bank of the creek, brush snow off the corner of the stone table in the circle of Crumhenge (thinking: The Stone Table, from before the beginning of time). By this time I’m getting tired and cold. I retrace my steps back to the path and continue along it, pausing only to brush more snow off the corner of a huge stone triangle pointing upward at the sky like a giant stone road sign, pointing the way to somewhere or nowhere. The path quickly leads me to Fieldhouse Lane; I traverse the whitened field, cross Route 320, and am, at last, home. I wrote this originally for SWAPA in late 1989. Edited it somewhat for various other forums, and then edited it more for Web publication. I first posted it online on the day that would’ve been Marcy’s 55th birthday. I hope that the numerous references to Swarthmore’s campus geography (and Swarthmore students) don’t make it too confusing for non-Swatties to read. The general idea is that Crum Creek runs through Crum Woods, which wraps snugly around half of the hill that the campus sits on. Crumhenge is a mysterious arrangement of small standing stones that appeared in Crum Meadow the summer before I arrived on campus.